It arrived in the wee hours of the morning. Had an express train derailed? Were the Germans bombing the British countryside again? The truth was beyond Professor Toddleben’s wildest dreams . . . The professor’s quaint estate of Applewood had unceremoniously become home to an extraterrestrial visitor. 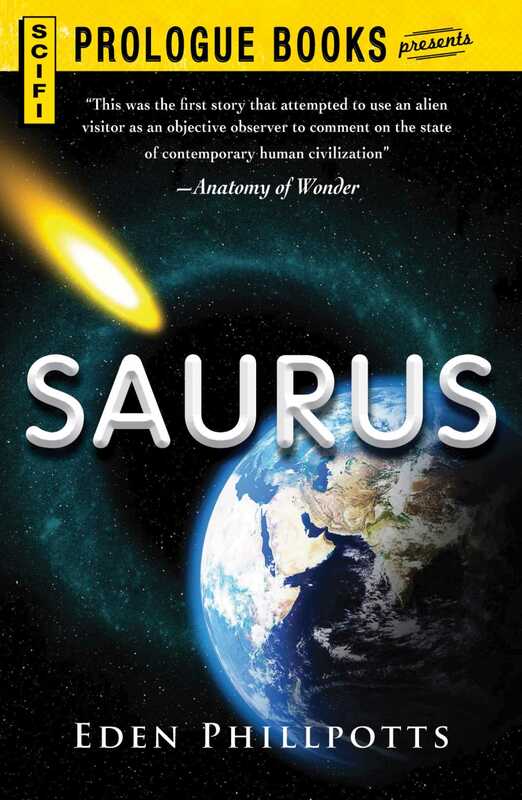 Saurus, an iguana-like creature borne Earthward from the stars, hatches from a leathery shell and demonstrates both a superlative mind and telepathic abilities. Professor Toddleben and his assistants learn to communicate with himand from there the plot only thickens! Recognized as the first work to use science-fiction to comment on the philosophical state of man and his creations, Phillpott’s 1938 novel offers a penetrating look into humanityand a message that continues to resonate with science-fiction lovers everywhere.